It's been available in the US for a while, but now Yale is bringing its Connected Smart Lock to the UK. What is a smart lock exactly? Well, put simply it allows you to open and close your front door using your smartphone. The intelligent little device does more than that, in fact, letting you remotely grant access to your abode - to AirBnB guests or the cleaner, for instance - and the lock will also work as part of wider automated systems. For example, if the door is locked, it'll set Nest to 'away' mode and turn the Philips Hue lights off. If that's not basically The Jetsons made flesh, we don't know what is. The lock can be opened using theYale Alarm and CCTV app, pin number and touchpad, or key fob. If you're worried about thesecurity of the system, Yale doesn't think you need to be. 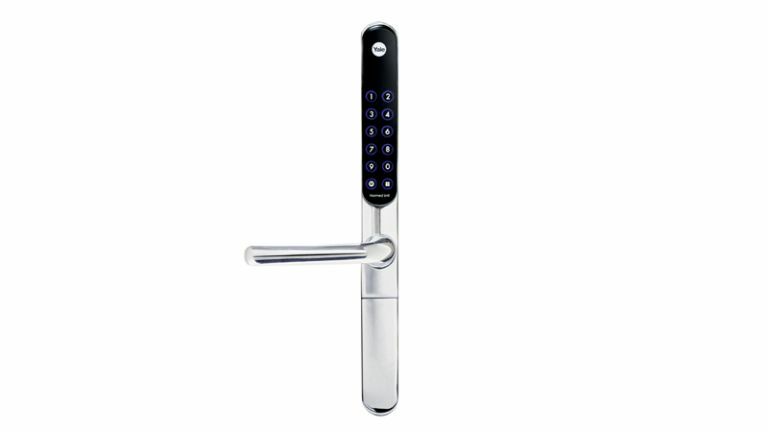 The Connected Smart Lock includes Z-Wave wireless which uses AES 128 encryption -- providing the same level of security used in online banking, apparently. Dave Herbert, Head of Marketing for Yale, said: “We're very proud that the Yale Keyfree Connected is the first smart lock in the UK to accredited by Z-Wave. The Keyfree Connected is part of our new range of Smart Living products, designed to take the hassle out of home security." "The range is available in a variety of options to suit all homeowners, from standalone products, to a complete home security system built around an intelligent smart security hub, which integrates with a wide range of modular accessories. For all your smart home security needs, Yale has a solution." Now, if you're generally plagued by forgetting your keys, you need worry no longer. So long as you don't start forgetting your phone instead.